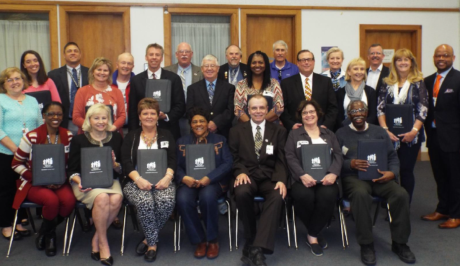 On Wednesday, April 5, Dorchester County Public Schools (DCPS) Superintendent Dr. Henry Wagner invited all past and current members of his Superintendent’s Advisory Council for a final meeting and thank you luncheon. This Advisory Council was one of a variety of initiatives Dr. Wagner pledged upon becoming superintendent of DCPS in 2010 to promote the mission of the school system. The Advisory Council has been a diverse group of Dorchester business, community, government, and faith-based leaders who have provided vitally important counsel to Dr. Wagner on a wide range of issues. At the final gathering, Dr. Wagner extended his sincere gratitude for all of the contributions of this esteemed group. He credited them with many of the leadership insights and innovations that have helped to advance the school system in so many ways. Included in the positive outcomes that have been fostered by this group have been an exponential increase in volunteerism, a steady rise in scholarship dollars, a corresponding rise in graduation rates, and a virtual closing of the “graduation rate gap” between African American and white students. Congratulations to Sandy Hill Elementary School for being the first elementary school in Dorchester County to participate and publish in Maryland EXCELS! EXCELS is a quality rating and improvement system (QRIS) that recognizes quality in early childhood and school-age programs in Maryland. Child care and school age programs are eligible to participate. 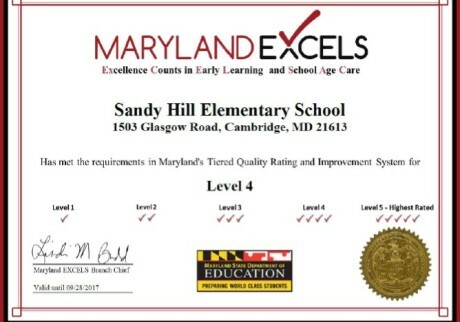 Maryland EXCELS recognizes the accomplishments of Sandy Hill’s early childhood staff in providing high-quality early education for Pre-Kindergarten and kindergarten students. After intensive documentation of their instructional practices, Sandy Hill was able to publish their rating on September 28, 2016. Maryland EXCELS awards ratings through five progressive check levels that define a pathway to excellence. When a program joins Maryland EXCELS, the program has made a commitment to continuous quality improvement. Sandy Hill was able to publish with an initial Quality Rating Level 4. Congratulations are in order for the PreK and Kindergarten teams, as well as the entire Sandy Hill Elementary School community (Sandy Hill Judy Center, administrators, coaches, parents, etc.) for supporting these efforts. For more information on Maryland EXCELS, contact Donna Greenleaf, Coordinator of Early Childhood at greenleafd@dcpsmd.org or Marybeth Johnson, Quality Assurance Specialist for Maryland EXCELS at maryb.johnson@mayland.gov or visit the website at www.marylandexcels.org. Continue reading "Because of Veterans"
The Maryland Business Roundtable for Education (MBRT) is a coalition of more than 100 leading employers that have made a long-term commitment to support education reform and improve student achievement in Maryland. 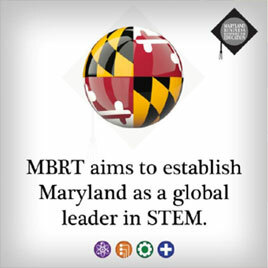 MBRT is seeking volunteers to implement STEMnet, Maryland’s STEM Innovation Network. STEMnet provides educators with access to programs aimed at accelerating teacher and student growth in science, technology, engineering, and math (STEM). MBRT is recruiting volunteers for two programs: Maryland Scholars Speakers Bureau and STEM Specialists in the Classroom. The programs are designed to raise academic achievement, college readiness, and career aspirations among middle and high school students in Maryland. 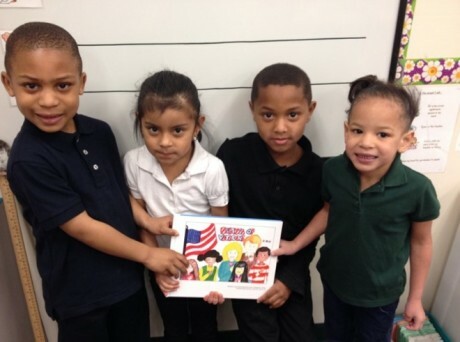 Maryland Scholars Speakers Bureau: Workforce volunteers bring students the message that achievement in school will pay off in college, the workplace and in life. STEM Specialists in the Classroom: Workforce volunteers engage students in hands-on learning experiences that demonstrate the real-world application of STEM content and skills. In this program, STEM professionals co-teach lessons with high school teachers designed to engage students in the real-world application of content knowledge. Four in-class presentations/demonstrations are required per year. To learn more and register, please visit www.thestemnet.com.